“Alive Again” profile of Chris Newman by Matthew Singer at Willamette Week. 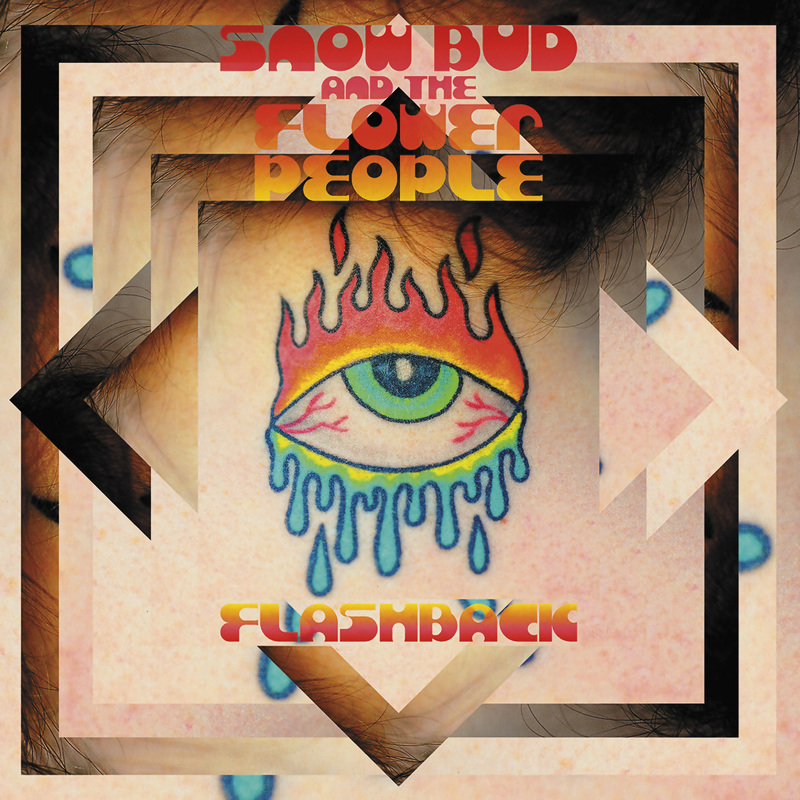 Cavity Search Records has teamed with Snow Bud and the Flower People to release their latest album FLASHBACK. 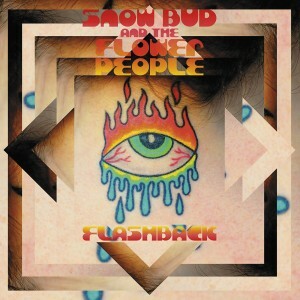 Produced by Jack Endino at Seattle’s Soundhouse Studio in 2010, Flashback features some re-envisioned hits from Snow Bud’s first two cassettes from 1986, and one brand new hit: STONER GIRL. CD release show at Ella Street Social Club on April 20. The album will be available on CD and MP3 via Cavity Search Records, and at selected Portland-based stores (such as Sonic Recollections). [PDX ROOTS MUSIC] Boo Frog is the Portland band that best pays tribute to both the Fuggs’ whimsical, poetic ’60s humor and Ween’s psychedelic mid-’90s silliness. Drenched in reverb-strewn low-fi credibility, Boo Frog eschews songwriting convention and puts its songs first. 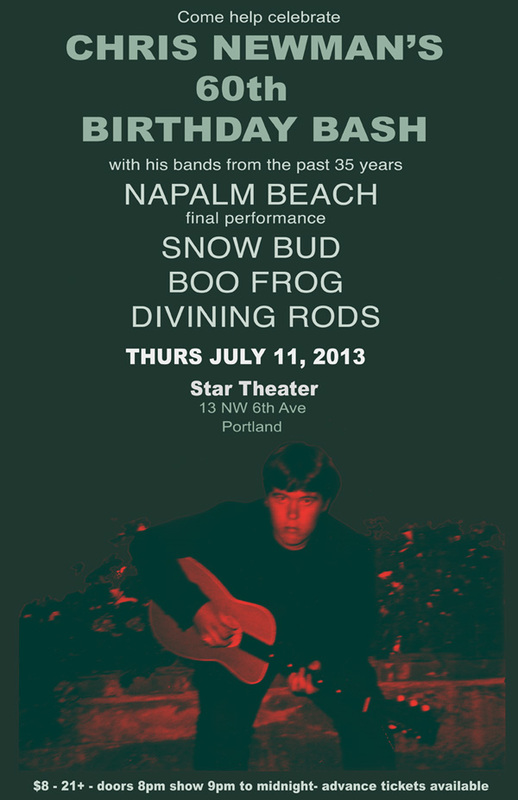 With members who’ve shared the stage with every punk band that mattered from Portland’s 1980s music scene—co-founder Chris Newman is perhaps better known for his work in Napalm Beach—Boo Frog knows the music is all that matters. Always independent, the band just released Better Than the Rest on vinyl in July of this year, followed shortly thereafter by the Undead at Satyricon live cassette. So if you want to see some real-deal musical history that the cool kids were into when you were just a pup, check Boo Frog out. JOHN ISAACSON, Willamette Week 15 September 2011 9:30 pm, Saturday September 17 | $6 Tonic Lounge, 3100 NE Sandy Blvd. The Untouchables’ lead singer Chris Newman looks anything but the typical pretty boy rock star. Weighing in at well over 200 pounds, Newman sports a girth that makes managers of all-you-can-eat restaurants turn over the closed sign when they see him walk down the street. He has a wild unkempt mop of hair, a 10 o’clock shadow and on stage tonight he’s wearing a greasy black wino’s raincoat. Newman spends so much of his time sleeping in cars and on the floors of the bars the band plays in, that his personal hygiene habits leave something to be desired. In short, he’s the type of guy that if you saw him walking down an alley, you’d high tail it in the other direction. But tonight on stage Newman uses his gruesome body to create some of the great gruesome driving rock n’ roll. Backed by the tree other young bad-boy types that make up the Untouchables, Newman breaks into the band’s signature tune “Rock ‘n’ Roll Hell” and all hell breaks loose in Astor Park as the dance floor fills up and the place becomes so hot you could cook hot dogs on the roof. The Untouchables have just begun their set and from the opening riffs of their first song they have the audience riveted to the wall with their driving, highly original new wave rock. Newman and the other Untouchables look dangerous because they are dangerous – like all great young rock bands they are hungry, driven by passion and possessed of a value system that puts their music above all other considerations. 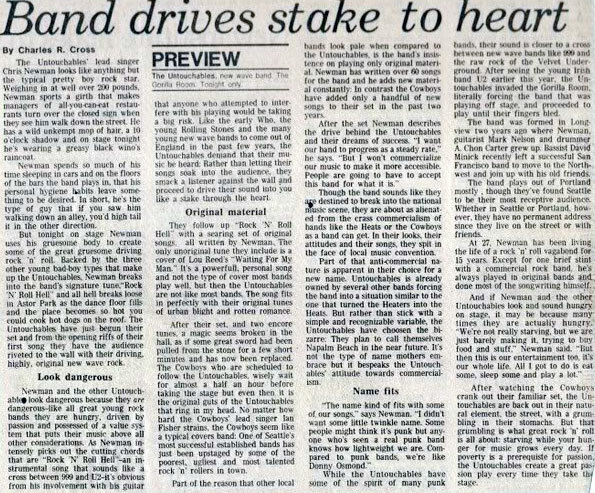 As Newman intensely picks out the cutting chords that are “Rock & Roll Hell” – an instrumental song that sounds like a cross between 999 and U2 – it’s obvious from his involvement with his guitar that anyone who attempted to interfere with his playing would be taking a big risk. Like the early Who, the young Rolling Stones and the many young new wave bands to come out of England in the past few years, the Untouchables demand that their music be heard. Rather than letting their songs soak into the audience, they smack a listener against the wall and proceed to drive their sound into you like a stake through the heart. 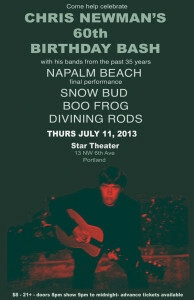 They follow up Rock & Roll Hell with a searing set of original songs, all written by Newman. The only unoriginal tune they include is a cover of Lou Reed’s “Waiting For My Man.” It’s a powerful, personal song and not the type of cover most bands play well, but then the Untouchables are not like most bands. The song fits in perfectly with their original tunes of urban blight and rotten romance. After their set, and the two encore tunes, a magic seems broken in the hall, as if some great sword had been pulled from the stone for a few short minutes and has now been replaced. The Cowboys who are scheduled to follow the Untouchables, wisely wait for almost a half an hour before taking the stage but even then it is the original guts of the Untouchables that ring in my head. No matter how how hard the Cowboys’ lead singer Ian Fisher strains, the Cowboys seem like a typical covers band: One of Seattle’s most successful established bands has just been upstaged by some of the poorest, ugliest, and most talented rock n’ rollers in town. Part of the reason that other local bands look pale when compared to the Untouchables, is the band’s insistence on playing only original material. Newman has written over 60 songs for the band and he adds new material constantly. In contrast the Cowboys have added only a handful of new songs in their set in the past two years. Though the band sounds like they are destined to break into the national music scene, they are about as alienated from the crass commercialism of bands like the HEats or the Cowboys as ab and can get. In their looks, their attitudes and their songs, they spit in the face of local music convention. Part of that anti-commerical nature is apparent in their choice for a new name. Untouchables is already owned by several other bands forcing the band into a situation similar to the one that turned the Heaters into the Heats. But rather than stick with a simple and recognizable variable, the Untouchables have chosen the bizarre: They plan to call themselves Napalm Beach in the near future. It’s not the type of name mothers embrace but it bespeaks the Untouchables’ attitude towards commercialism. 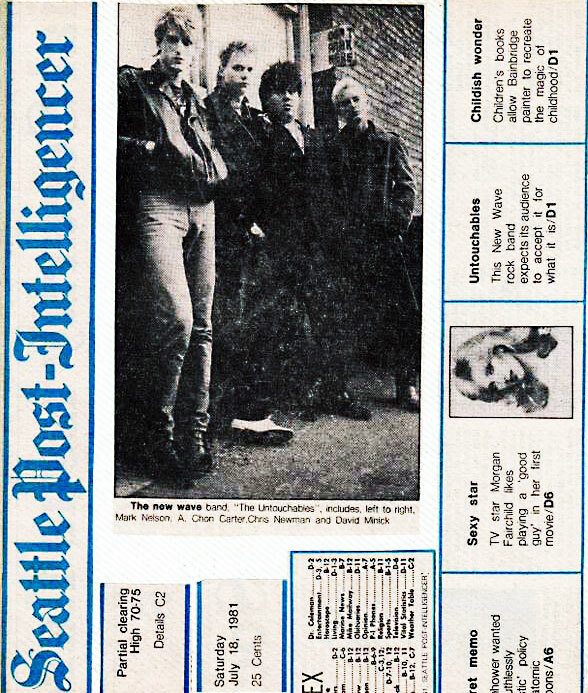 While the Untouchables have some of the spirit of many punk bands, their sound is closer to a cross between new wave bands like 999 and the raw rock of the Velvet Underground. After seeing the young Irish band U2 earlier this year, the Untouchables invaded the Gorilla Room literally forcing the band that was playing off stage, and proceeded to play until their fingers bled. The band was formed in Longview two years ago where Newman, guitarist Mark Nelson and drummer A. Chon Carer grew up. Bassist David Minick recently left a successful San Francisco band to move to the Northwest and join up with his old friends. The band plays out of Portland mostly, though they’ve found Seattle to be their most receptive audience. Whether in Seattle or Portland, however, they have no permanent address since they live on the street or with friends. At 27, Newman has been living the life of a rock n’ roll vagabond for 15 years. Except for one brief stint with a commercial rock band, he’s allays played in original bands and done most of the songwriting himself.